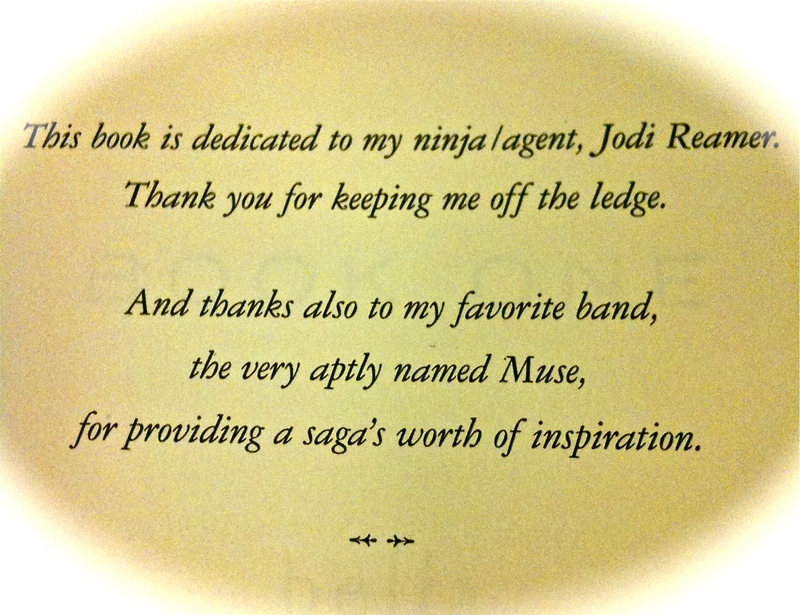 This book is dedicated to my ninja/agent, Jodi Reamer. Thank you for keeping me off the ledge. And thanks also to my favorite band, the very aptly named Muse, for providing a saga’s worth of inspiration. – Breaking Dawn from the Twilight series by Stephanie Meyer.